If you are searching for a large holiday home in Scotland, Stationmaster's lodge could be the ideal place for you. 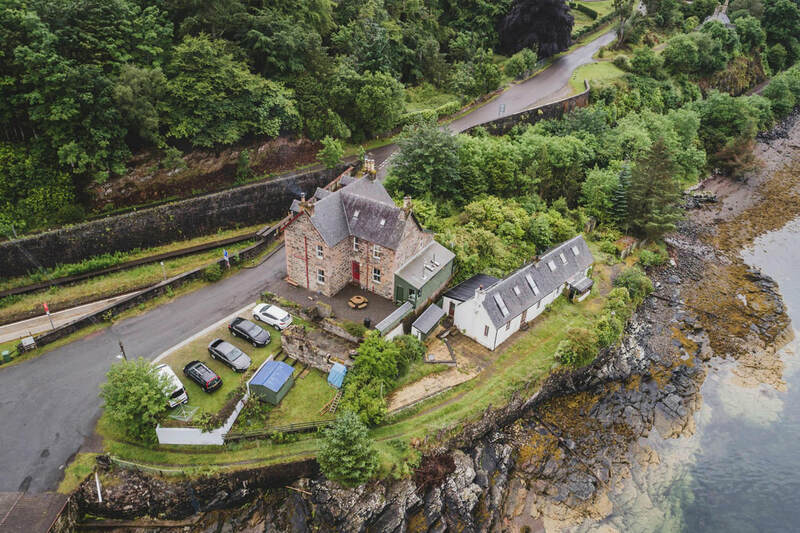 Built in 1880, it was was formerly the stationmasters house (Stromeferry Station sits opposite the lodge and still operates today on the Kyle of Lochalsh line and you can arrive at the house by train). Today, its fantastic holiday accommodation with a unique lochside location on the west coast of Scotland. This is a wonderful corner of the West Highlands, with stunning loch and mountain scenery. It’s feels remote but is easily accessible from the main road from Fort William to Skye. It’s worth noting that Stromeferry today is a small village - there are no shops or pubs within walking distance. The nearest shops can be found in Balmacara, Kyle of Lochalsh and Lochcarron (all less than 10 miles away). Strome Ferry used to be a busy hub when the ferry operated.